Sony's pile of new photo frames is topped by the 10-inch V1000 and X1000, which have supposedly 15x sharper contrast and are 13 percent than last year's models, for that superduper better-than-reality look. LAS VEGAS (CES Booth #14200), Jan. 7, 2009 - Sony put the spotlight on its new 10-inch digital photo frame today at the Consumer Electronics Show. It is the company's first to offer a super clear LCD and TruBlack technology, which minimizes the reflection on the display and adds more contrast. The contrast is 15 times sharper and is 13 percent brighter than the company's previous photo frames. 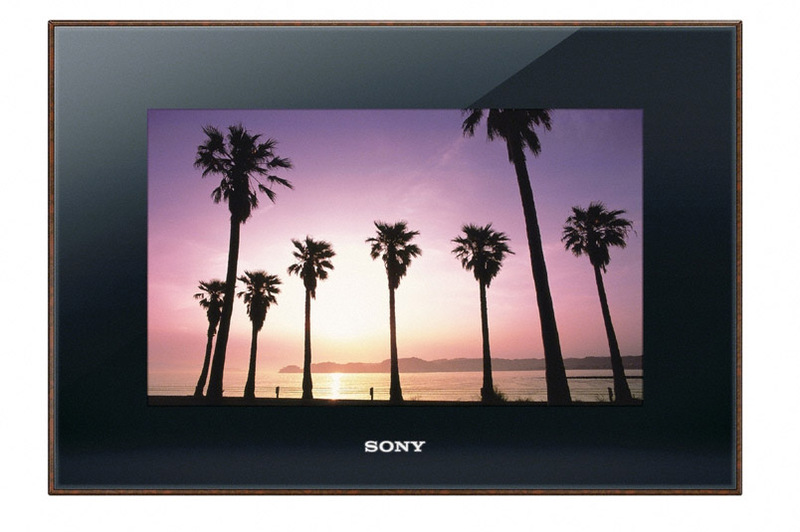 Additionally, Sony announced three more digital photo frames that are designed to display crystal clear images. "Our digital photo frames make the best centerpiece for your bedside table or home office," says Koba Kobayashi, director of digital imaging accessories at Sony Electronics. "Their modern, super slim design and intelligent features make them the perfect addition for almost any décor." In addition to the top-end DPF-X1000 model, Sony introduced another 10-inch frame (model DPF-V1000). Both frames offer new alarm clock, auto dimmer and a variety of slide-show features. The auto dimmer feature automatically adjusts the display's brightness based on the lighting. Using the multiple auto power setting, you can set times that the digital photo frames will automatically turn on and off, which conserves power. 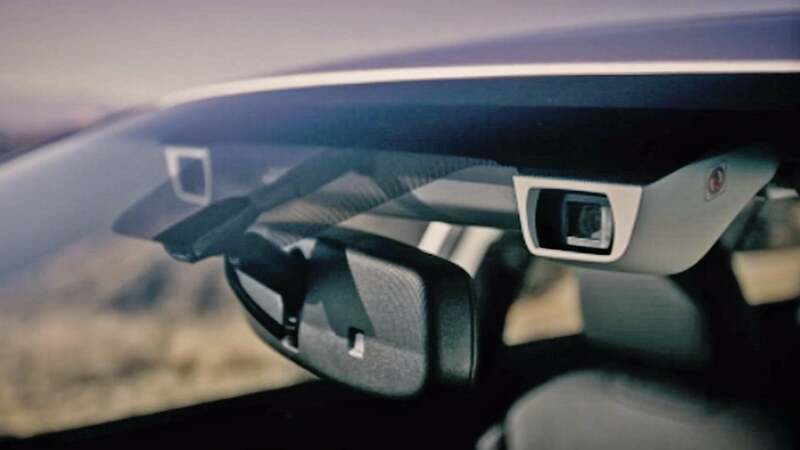 The new frames offer a convenient auto orientation sensor, automatically detects whether they have been positioned horizontally or vertically, and then adjusts the display of the pictures accordingly. When the frames are horizontal, the Sony logo will light up. When the frames are vertical, the logo turns off and blends into the piano black finish. You can also turn the Sony logo on or off from the menu. The calendar or clock can be viewed in different slide show modes. Choose from four scrapboking templates in slideshow mode and 18 templates in creative edit mode to view pictures against a personalised background. Additionally, the digital photo frames automatically correct the white balance in digital photos to provide best picture quality. It is easy to store thousands of digital images on the frames' internal memories. Search by date, folder, marked photos or photo orientation (vertical and horizontal) to easily find and orangize photos. The DPF-X1000 frame has 2GB of storage and comes in black with wood trim. The DPF-V1000 model can store thousands of photos on its 1GB internal memory and comes in black with silver trim. Both frames also connect to Sony BRAVIA® HDTVs and other compatible HDTV sets to display your photos in high definition via an HDMI™ cable (sold separately). With a built in alarm clock, the 9-inch DPF-D92 and 8-inch DPF-D82 digital photo frames have a VGA LCD display with a 15:9 aspect ratio and 1GB of internal memory that stores thousands of photos. These wall-mountable frames offer the same clock, calendar and search functionality as the top-end models. The DPF-D92 frame comes in black and brown, and the DPF-D82 model comes in black. The four new photo frames all are Bluetooth® ready. Using a Bluetooth adaptor (sold separately) the frames can import images wirelessly from a Bluetooth-device such as a mobile phone. Digital images can be loaded onto the internal memory of the digital photo frames from several types of flash memory cards, including Memory Stick PRO™, Memory Stick PRO Duo™, SD Memory Card, MMC, SDHC, Microdrive®, xD-Picture Card and Compact Flash Card. Photos can be transferred from the frame to a printer or transferred to the frames via a USB cable (not included) from a PC or digital still camera. These new S-Frame models support JPEG, BMP, TIFF and RAW (SRF, SR2, ARW) image file formats. The DPF-X1000 and DPF-V1000 digital photo frames will be available in March for about $300 and $250, respectively, direct at sonystyle.com, at Sony Style® retail stores around the country, and at authorised dealers nationwide. Pricing and availability for the D92 and D82 models will announced later this year.